Digitizing Cemeteries: MyHeritage is at it again (with friends)! As part of the global initiative we launched with BillionGraves earlier this year, the MyHeritage team recruited a group of enthusiastic volunteers to continue our efforts to digitize cemeteries. After successfully digitizing a medium sized cemetery of historical significance earlier this year (see video), we decided to undertake our biggest challenge yet – to digitize Israel’s largest cemetery – with over 200,000 graves. So earlier this week, we embarked on a one-of-a-kind project to photograph all headstones of the huge Holon cemetery in central Israel. This was one of largest events of its kind ever organized – in the world! The best aspect of the event was the true collaboration between MyHeritage and all leading genealogy organizations in Israel, in addition to MyHeritage power users. In total, some 120 people joined our initiative and participated, and approximately 150,000 gravestone photos were taken throughout the day! 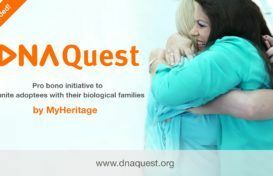 It was heart warming to see such collaboration among so many people who care about genealogy, from all ages, and all groups, working together to create an incredible resource that is free for all to use. The day began at 8:30am – with MyHeritage employees and volunteers arriving at our offices – and ended at 6:30pm. At 9am, we enjoyed a catered breakfast briefing. Gilad Japhet, MyHeritage Founder & CEO and expert genealogist, described best practices for photographing gravestones, with attention to quality and perfection. Gilad has taken nearly 5000 gravestone photos himself this year, a number that other genealogy CEOs would be hard pressed to beat! At 9:30am, three buses booked by MyHeritage brought everyone to the Holon cemetery. A Satellite Image of the huge Holon Cemetery (Click to zoom). From 10:30am-1pm, everyone was busy photographing gravestones, working in pairs, as we spread out to efficiently cover the cemetery. We took a break for a picnic lunch in a nearby park. Then we returned to the cemetery and continued photographing gravestones until the sun had set. The buses returned everyone to the MyHeritage office for a debriefing over coffee and refreshments, and all photos taken during the day were uploaded to the server. Winners, who had photographed the most gravestones, were announced and 6 people received prizes of chef restaurant vouchers. Among MyHeritage employees, the top contributors were Lina (general counsel) and Elad (head of R&D) who worked non-stop at a superhuman pace and took more than 4000 photos each! I would like to commend the wonderful initiative, the investment and hard work involved in organizing the event. I enjoyed it very much. The more events like this the better. Great job MyHeritage!!!! Thank you for the exemplary organization and for the opportunity to contribute to the common good. It was certainly a great day! It was quite an experience! The combination of help from volunteers and genealogical organizations across the country, and the support of MyHeritage employees helped in this amazing effort to build a national database of cemeteries. It’s worthwhile for you to volunteer next time. Thanks for including us in this great project! Congratulations to you and your team! You have officially created the largest cemetery project and successfully uploaded more photos than any project in history! The Holon event was very well organized, and everyone went home at the end of the day, feeling that a great job has been accomplished. The photos will be transcribed soon and all data will be available for free on MyHeritage and BillionGraves. We plan to arrange another one-day event in the near future to complete digitizing the Holon cemetery. It is up to our generation to preserve these headstones and store their valuable information for future generations. At MyHeritage, we take that responsibility very seriously. We invite you to join our initiative and help us digitize the cemeteries of the world, together. Thank you for this Hanukkah gift. A most impressive and important project. And I’m not even Jewish. Thank you, and thanks for the photo’s, I’m only Jewish in my heart. How moving! thank you. my grandparents are buried there. 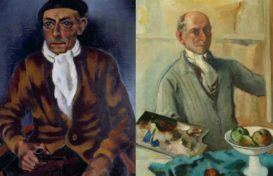 I would very much like to be part of the Graves Project in the Central Region of Israel. 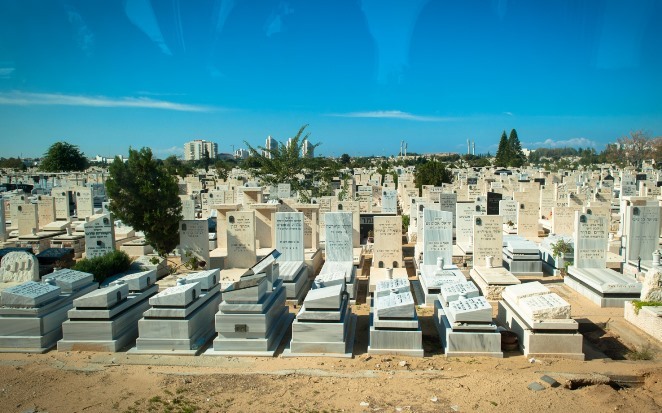 I live in Rishon LeZion and I am sorry to say that both my parents, my grandfather, his brother and wife and my husband’s brother are all buried in the same Cemetry in close proximation to each other. We always visit all the family graves each time we are there for Memorial Services and personal visits. I’m curious – wouldn’t it be much easier, faster, cheaper to do it with drones?